lying to hurt the business. The Virginia Court of Appeals has ruled that online review site Yelp must reveal the real names behind several anonymous commenters suspected of faking their reviews, the BBC is reporting. 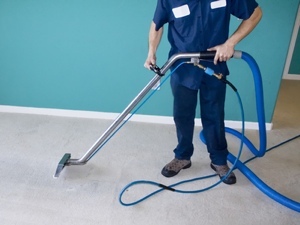 The case in question revolves around a Virginia-based carpet cleaning business. Business owner Joe Hadeed filed suit over 7 anonymous users who left negative feedback regarding his company’s services. Hadeed believes the anonymous users are lying, and was able to provide the court with “sufficient reason” to believe the comments were not left by actual customers. The court says that actual customers of the business are entitled to publicly offer an opinion on the service they received via the First Amendment. “If the reviewer was never a customer of the business,” however, the court states, “then the review is not an opinion; instead the review is based on a false statement." Yelp, for its part, is upset over the ruling. “We are disappointed that the Virginia Court of Appeals has issued a ruling that fails to adequately protect free speech rights on the internet, and which allows businesses to seek personal details about website users — without any evidence of wrongdoing — in efforts to silence online critics,” said Yelp spokesman Vince Sollitto in statement. Just last year, businesses in New York were forced to pay a $350,000 settlement over posting positive fake reviews. But negative fake reviews are clearly just as big a problem: Lying about a competitor online might improve your own sales. Only an estimated 4 out of every 5 reviews posted to Yelp are legitimate. When using the site, keep an eye out for people who only leave 1- or 5-star reviews, overuse exclamation points, use the full official name of the product/business and exhibit these other tell-tale signs that an online review may be fake.